The NFL has not, historically, been seen as a well from which the world draws its style cues. Players’ faces and hairstyles are obscured by helmets, leaving little room for on-field sartorial flair. Meanwhile, NFL players are not necessarily known for their ace fashion sense when they’re out in the world just living their lives. 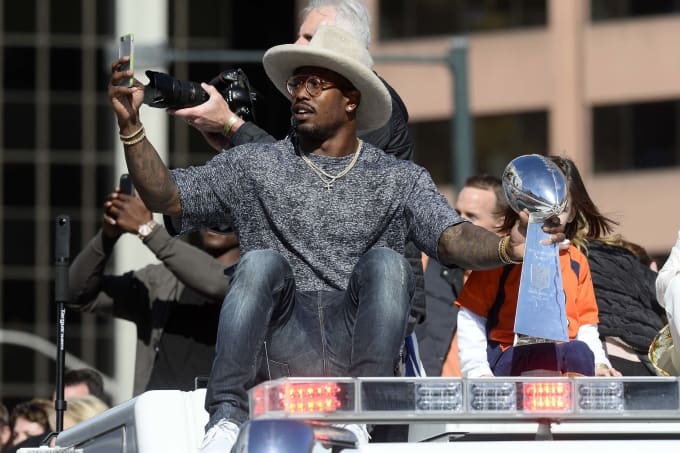 But as fashion becomes more and more democratized and style gets embraced by larger and larger swaths of culture, NFL players are discovering that they, too, like to look nice, and they might actually want to set a few trends while they’re at it. At first, it was guys like Tom Brady sporting expensive clothes and looking like a dandy day trader, but as time has passed, more and more pros are making forays into fashion, exploring and experimenting and discovering that they can express their individuality not just with playing style and interviews, but through their choice of dress as well. With the rise of Instagram, NFL players have found a visual medium that allows them to present themselves to the world every day—not just on game day. If nothing else, these gridiron stars are by nature competitive dudes—once a few of them get into fashion, you can bet others will step their game up in the name of competition.